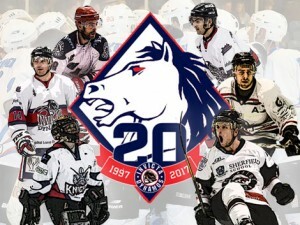 The Invicta Dynamos are delighted to announce the final six additions to the legends roster ahead of our 20th anniversary game on Sunday 23rd April with goalie Murray Tester, defenceman Danny Scott and forwards Peter Carey, Martin Rider, Aaron Connolly and Juraj Huska all joining the roster. The Legends game will see a squad featuring players from across the club’s 20 year history take on the Invicta Dynamos of 2016/17 in a one-off tie in Gillingham on Sunday 23rd April. Tickets are available to purchase on entry into the venue on game day and are priced at just £8 for adults and £4 for under 16s. Be sure to join us for what will be an entertaining celebration of the club’s 20 seasons in the sport before the lengthy summer break begins. The final additions see the legends roster swell to 25 players and we are delighted so many could join us to celebrate our 20th anniversary. We appreciate there will still be other players that fans may have wished to see however with so many making up our past it would be impossible to incorporate them all whilst several had other commitments that meant they were unavailable. Nevertheless your legends for Sunday 23rd April have cumulatively played 5,179 games for the Dynamos and managed 4,239 points. 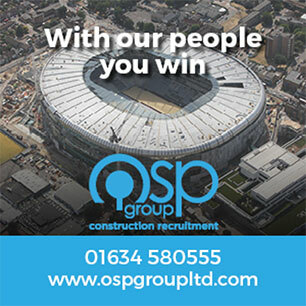 The whole event is proudly sponsored by DFC Building & Carpentry Ltd – a local firm run by former Dynamo Daniel Fudger that specialises in all aspects of building and carpentry from swinging doors to loft conversions and extensions. For excellent quality, friendly service and a trade you can trust send your enquiries to dan@dfccarpentry.co.uk or visit their Facebook page: clicking here. Canadian born Murray Tester spent one season between the posts for the Invicta Dynamos as he dressed for the side in the EPL for the 1999/2000 campaign. It was a tough year for the Dynamos – just their second at EPL level – but Tester played a key role dressing for 20 of 24 league games as the Mos secured a fourth placed finish. In total he would feature for the Dynamos 27 times before later going on to play recreational hockey – including for the Invicta Knights where he backstopped the team to silverware. Tester brought plenty of character to the Mos changing room and is sure to enjoy his return to the SilverBlades in a legends jersey on Sunday night. Whilst it’s true Danny Scott only dressed for the Invicta Dynamos 19 times as a very young yet promising junior, the product of the Mos youth setup returns as a legend having carved himself out an excellent career in the sport. Since leaving Kent the D-man, who is still only 24, has played a season in the Elite League with the Hull Stingrays and six more in the EPL with Telford, Slough and most recently, Basingstoke, winning a league title and cup along the way. 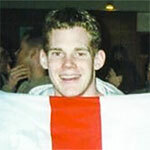 He has also previously played for and captained Great Britain at under 18s and under 20s. Scott was a hugely talented teenager when he last played for the Dynamos and the club are proud of the success he has gone to enjoy since stepping up. The club’s sixth all-time highest points’ scorer Peter Carey signed for the Dynamos in their first season having previously appeared for the Medway Bears. He returned in 2003 and dressed for the club until 2008 winning a national title, 5 league titles, 3 playoff championships and 2 cups during his stay before later appearing for the Mustangs in the league below. When Carey departed the Mos he did so having played 245 games, scored 123 goals and grabbed 204 assists for a total of 327 points. Never the fastest but with a great hockey brain, Carey was an asset to the Mos throughout his stay and a regular thorn in the side of all opponents. 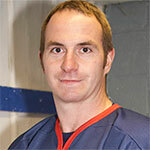 Forward Martin Rider joined the Dynamos in the 2005/06 season and was part of the Grand Slam team that won the national and southern titles, the southern playoffs and the cup. He then stayed until 2008/09 before opting to move back to the bench and supporting Head Coach Kevin Parrish. Rider featured for the Mos a total of 147 times, scored 8 goals and tallied 30 assists for 38 points but it’s his often unseen work that also makes him a club legend – Rider helping with equipment, acting as team manager, assisting during training, on the bench during games and helping find sponsors throughout his time with the team. 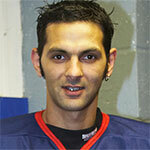 Aaron Connolly played junior hockey in Kent before fleeting appearances for the Mos in the ENIHL in 2006/07. He would later go on to appear for the Chelmsford Chieftains but his talents were too good for the NIHL and he was soon EPL bound. From 2011/12 Connolly has played EPL hockey for Slough and then Basingstoke including acting as captain for the Bison for the last two seasons. He is an EPL league winner and two time EPL cup and playoff champion whilst still aged just 23 so there is undoubtedly more to come from the man who last appeared in Kent as a promising teenager. Connolly has also previously featured for GB at under 18s and under 20s level so is sure to be a big player for the legends team on Sunday. Arguably the NIHL’s most prolific sniper since he first appeared in the division for Romford in 2010, Slovak Juraj Huska has since spent seven seasons at this level scoring over 300 league goals in the process. 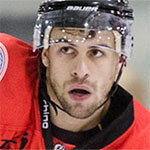 After three terms with the Raiders, Huska signed for the Dynamos in 2013 where, over two campaigns, he played 107 games, scored 127 goals and set up 118 more for a total of 245 points. Huska was a part of the Mos team that lifted the NIHL Southern cup in 2015 but more recently has appeared for Chelmsford where he has been a key player in securing numerous trophies and was just voted the NIHL South Player of the Year.